The process involved in developing a website is called Web development. Both internet and intranet require Web development. Web development is creating a single text-only page or multiple pages with images. The backbone of any business is their website, hence the success of every business lies on a well-designed website. The primary need for a website is to promote the business. Websites have the reach to millions of people. Apart from a marketing perspective, Websites also act as a medium of communication. It increases the awareness about the products, helps in making payment from your desk and much more. The Web Development companies are emerging rapidly in the last ten years. The purpose of those companies is to provide the best Web development services. Such companies are making big time money as there is a huge demand for websites. 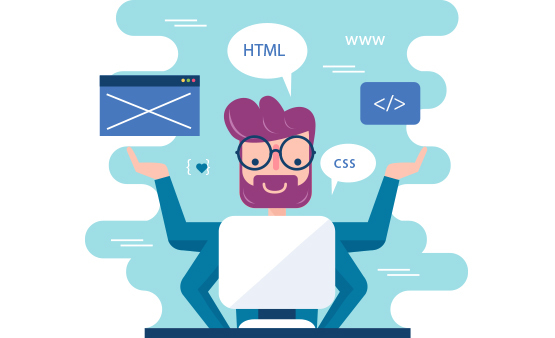 There could be many players but to earn the name as the Best Web Development Company in Pune, India, we are following our unique way. Let us walk you through our secret for success. We talk to customers and understand their needs to be implemented on the website. A company looking for building a website to store information may differ from a company using the website for transactions. We understand needs of every nature. Next step is to prepare a plan to execute the development phase. Resource allocation is carried out in this phase as well as the Cost-benefit analysis. Upon mutual acceptance from the customer, the work progresses to the next level. The design phase begins. Customer reviews a couple of customized design templates shared with them. The design is finalized after constant communication with the customer. In parallel, testing is carried out. Database team will work simultaneously to develop the database with all the data structures. Content writing services start here to write the relevant content for the website. Contents range from texts, images, and videos based on the customer specifications. Without disturbing the design, the code is added at this stage. The coding team will be aware of the design and navigation of the site and make sure not to hamper the design process while adding the code. Testing happens after coding. Website testing is a vital step in any Web development project as fixing errors can prove difficult once the site is live. A wrong impression about the site can be made even if there is a minor error. Social Media optimization along with Search engine optimization is mandatory for sites that are live on the web. They are the brand ambassadors for any business. In a frequent interval of time maintenance and updates are done. Apart from the usual Web development, We, the Best Web Development Company in Pune, India cater in providing the following specialized services. Unlike a static a web page that delivers the same content every time a page is loaded, a dynamic web page every time a page is loaded new information is loaded. Dynamic websites are becoming popular with growing online shopping sites. Our Dynamic Website Development service includes unique layouts, quick loading time, and easy administration of links. Keeping in mind the need for eCommerce Websites, we develop user-friendly eCommerce Websites. Users are allowed to purchase in 2 steps. The checkout process is simplified to one step. They can add different products at once. Users are allowed to schedule their delivery. In short, our Web app development team offers conventional solutions for exceptional needs. Our team understands your need and develop a specially made Web app to help you establish your goals.